New Chelsea arrival Gonzalo Higuaín has won 75 caps for Argentina, but he was actually born on the west coast of France, where his father was playing for Brest. Having moved back to his native Argentina, the young Gonzalo was to follow in the footsteps of his father and, after progressing through the youth ranks at River Plate, become a professional footballer. After little more than 18 months in the River Plate first team, Higuaín moved to Spanish giants Real Madrid for what now seems like a relatively modest €12m. During his seven seasons in the Spanish capital, the young Argentinian faced fierce competition for a starting spot – from Raul, Ruud van Nistelrooy, Cristiano Ronaldo and Karim Benzema, for starters – but he still managed more than 100 league goals and averaged out at almost a goal every other game in total. By the time Higuaín left for Napoli in the summer of 2013, it had been three years since his La Liga best of 27 goals from 32 appearances. But, with his starting place secured, he showed the full capacity of his talents, netting 71 league goals in three seasons – including 36, a joint record for Serie A, in his one season under the management of current Chelsea manager Maurizio Sarri (below). These exploits earned the then 28-year-old a staggering €90m move to Italian rivals Juventus, where he grabbed 40 league goals – and two championship medals, to go with the three he won with Real Madrid – in two seasons. More recently, after the arrival in Turin of a certain Cristiano Ronaldo, Higuaín has spent half a season on loan at AC Milan. Internationally, the 31-year-old has scored 31 goals from his 75 caps and featured at three World Cups. He notably missed an excellent chance to give Argentina the lead in the 2014 World Cup final – a match they eventually lost to Germany – and hasn’t actually scored for his country since netting in a World Cup qualifier against Peru in October 2016. Higuaín is perhaps most accurately described as a classical number nine whose sole intention is to score goals. He likes to attack the goal from any angle and oozes aggression, especially when up against powerful central defenders. With his back to goal and when aggressively pressed from behind, Higuaín is more than capable of rolling his man (below). Although not the quickest over a considerable distance, he more than holds his own when bursting away from pressure or multiple defenders in a short space. His link-up play far away from goal is another useful tool, although he can sometimes hold on to the ball for too long and miss the chance to combine with central runners supporting from deep. His link-up play with wider players – both full-backs and wingers – is more effective, as this option gives him the chance to burst forward towards the penalty area. To this end, his supporting runs forward after releasing the ball are exceptional. His change of both speed and direction can give defenders nightmares. Higuaín’s first touch is fine, but his ability to recover and score goals on the bounce or half-volley is truly impressive. He clearly has a preference to shoot with power; with the ball slightly off the floor, he has the perfect opportunity to aggressively connect with it – as Tottenham learned to their cost in the Champions League last season (below). He also has a knack of shooting on goal in the same direction of the incoming ball, even if that means twisting and turning his body into the most visually awkward shapes. This often catches both defenders and goalkeepers out, as they expect him to take a first touch. Finally, Higuaín also possesses clever movements to get on the blind side of his markers, much like his old Argentina teammate Sergio Agüero. 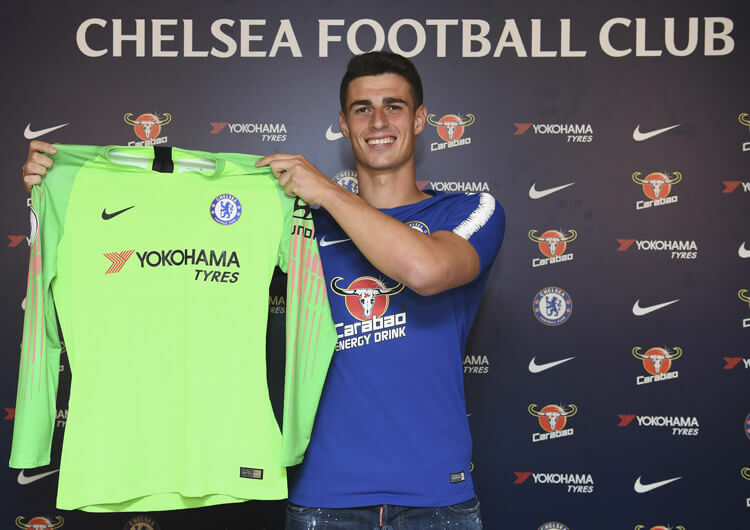 It is these movements and deadly ball-striking skills that have helped him score so many goals at a number of Europe’s greatest clubs – Sarri will hope he repeats the feat in west London. 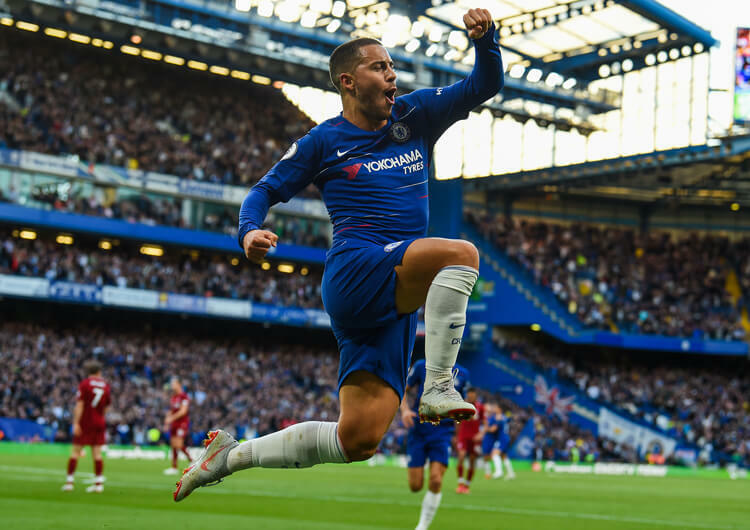 With Higuaín coming in to become the central focal point of the Chelsea forward line, we can expect to see Eden Hazard move back out to his preferred role on the left side of the attack. The combination between Hazard and Higuaín could prove vital to Chelsea’s chances of success this season, as the latter often excels when dealing with crosses from wrong-footed wide players – something he showed at Milan, in combination with former Liverpool youngster Suso (below). Hazard and Chelsea’s other wide players – which from next season will include Christian Pulisic –will no doubt benefit from Higuaín’s ability to hold the ball and link with his teammates. Alvaro Morata in particular has struggled to fill that role, which has proved hugely wasteful in a team that boasts the pinpoint accuracy of David Luiz at the back. Higuaín certainly has the aggression to deal with Premier League centre-backs, but he is a fiery character. If Chelsea want to get the best out of Higuaín – and vice versa – then fitting the Argentinian in as soon as possible will help. 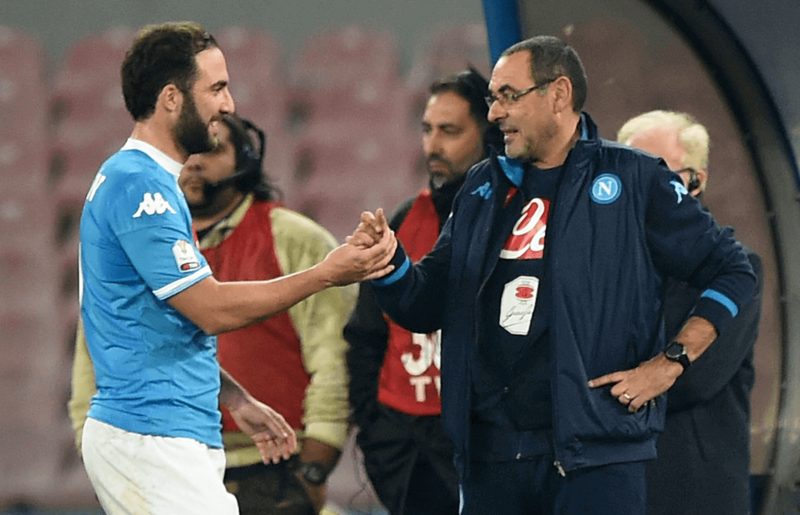 Both Sarri and his midfield playmaker Jorginho worked with Higuaín at Napoli. Rekindling that relationship could work to get the best out of a striker who, at 31, is almost certainly now past his peak. 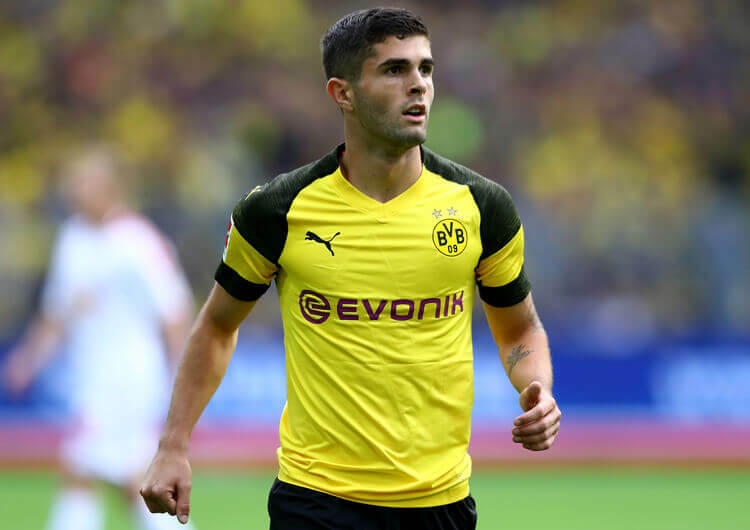 Despite reported Liverpool interest, highly regarded Christian Pulisic is on his way to Chelsea in the summer – but what will the young American bring to the Premier League?